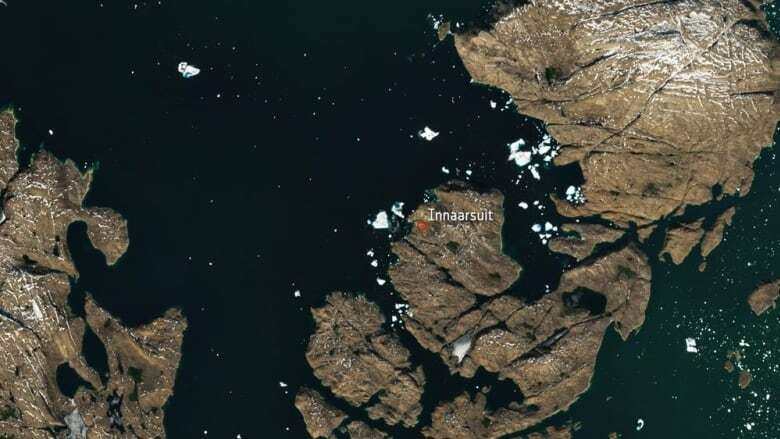 An iceberg that drifted perilously close to a remote Greenland village is so big that it can be seen from space. The European Space Agency (ESA) released an image Tuesday showing the giant iceberg just off the coast of Innaarsuit. Dozens of residents were evacuated from the village to higher ground last week due to concerns the nearly 10 million tonne iceberg might break apart and produce waves large enough to wash away low-lying buildings. The image captured July 9 by ESA's Sentinel-2 satellites shows several other large icebergs in the vicinity. 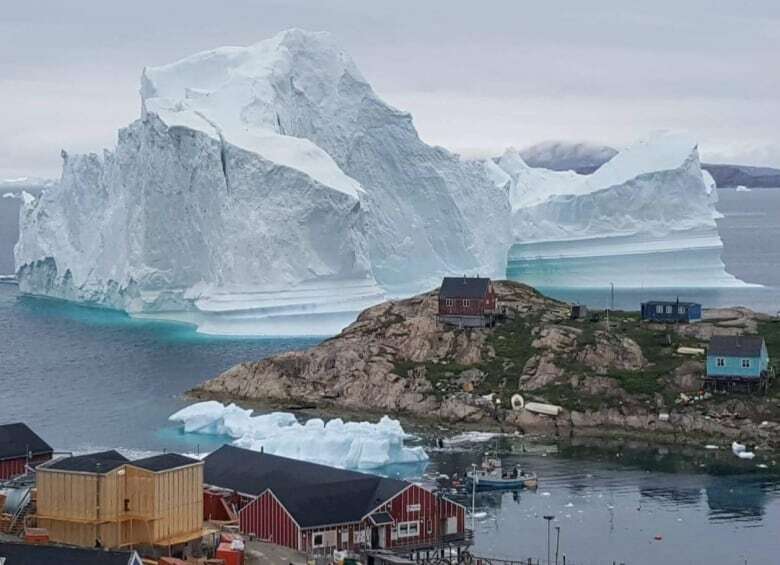 Separately, Greenland's broadcaster, KNR, published video taken by a local resident showing a time lapse of the iceberg drifting past the village. KNR reported that strong winds and elevated tides moved the iceberg northward, away from the harbour, over the weekend.